Knives — Warm house, cold beer. Anyway, if you're obsessed with quality, balance, and edge integrity of a good knife, check out these badboys. For my fellow lefties out there, the Shuns are available with left-handed handles. A good knife makes prep work a joy. 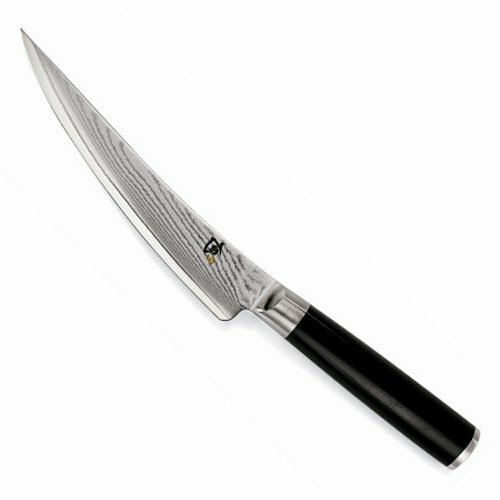 But what constitutes a "good knife" for each individual is a matter of personal preference largely based on feel. If a Global feels better in your hand, by all means, get a global. Or a Henkel. Or whatever. I just happen to love the way this guy feels and I love the way it holds and edge. The handle fits my hand and the object feels like an extension of my extremities. Oh and, not to mention, the Samurai sword look makes me feel like a cooking ninja.